This collection of digital greenery will remind you of the silk screen printing process. The collection of 14 elements including flowers, greenery, a vase, and a tree. 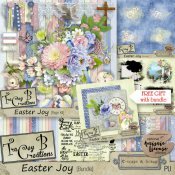 Enjoy creating layouts, scrapbook pages, cards, and art with this unique collection. 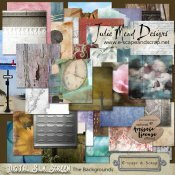 Click here if you are interested in seeing the complete collection of Digital Silkscreen products by Julie. We offer this as a personal use product or purchase the artistic license if you would like to use this product for your art, or creating digital products to sell. Please read our guidelines before choosing your license. ARTISTIC USE LICENCE: This licence is for artists, photographers, or graphic designers who want to use these graphics to create or enhance their artistic projects that they may be selling and/or using for promotional purposes. There are no restrictions on what you may or may not do with the items in this product as long as you are embedding it into your project and not trying to resell or share it as a resource, or in another digital kit. You may NOT resell any item as is. Recoloring does not constitute a change. They must be altered or blended into other things to be considered changed. If you have any questions about this type of licence, you may email your questions to esands@gbta.net.